The Key West apartment is a 2 bedroom, 2 bathroom apartment home that features a private full bathroom connected to the master suite complete with double vanities. The floor plan is very open and spacious. 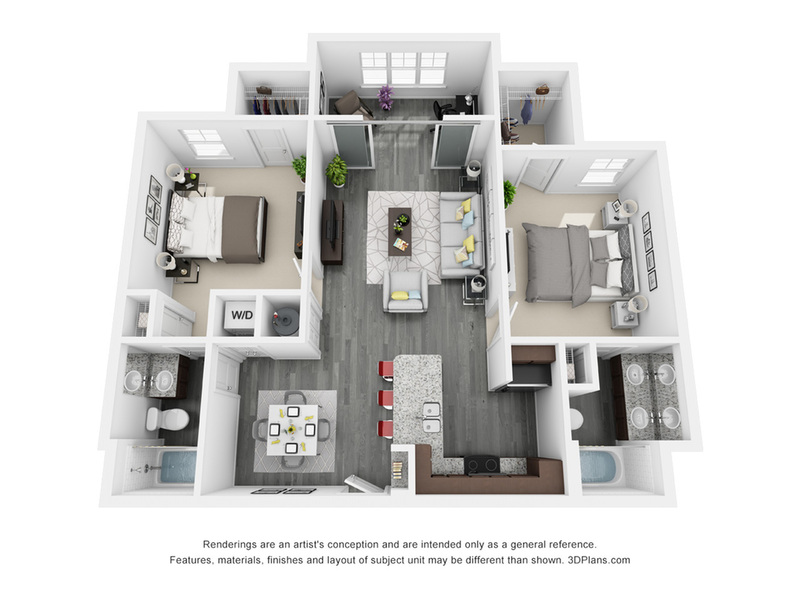 This floorplan has enough room for all your furniture including a full dining room set. This unit also has a full size, stacked washer and drying along with a linen closet in both bathrooms and your own personal hot water tank. The 2 bedroom home is very unique featuring a solarium that can be used for sitting, relaxing, reading or as a home office area. Both bedrooms have sizable walk-in closets.